French thrust south of the Aisne, east of Villers-Cotterets, on a two-mile front, taking 370 prisoners. Italians win the passage of the Vojusa, north of Avlona, Albania, British monitors co-operating; inland French and Italians, working down the valleys of the Devoli and Tomorica, threaten Berat; over 1,300 prisoners to date. Czecho-Slovaks occupy Irkutsk. Trial of Lance-Corporal Downing, Connaught Rangers, who landed in a collapsible boat from a German submarine on west coast of Ireland. Allenby advances on a front of six miles to a depth of two on either side of Mukhmas, east of Jerusalem-Shechem road. Canadian raid at Lens. Bolo Pasha condemned to death. General Kaledin renounces leadership of Don Cossacks in favour of General Alexeieff, who, with 30,000 men, is moving against Bolshevist forces towards Moscow. Trial of Bolo Pasha begun. A Wilhelmshaven Court-martial is stated to have sentenced the captain of the cruiser Yorck, mined and sunk with over 300 men, to two years’ detention in a fortress for the loss of the ship and for homicide by negligence, and the commander to one year’s imprisonment. Mr. Seymour Hicks and his company entertain British troops at Boulogne. Prince Hussein Kamel Pasha is appointed Khedive with the title of Sultan of Egypt, in the room of Abbas Hilmi Pasha, who is deposed for having adhered to the King’s enemies. Allies gain ground. The Court of Criminal Appeal quashes the conviction for high treason of Nicholaus Ahlers, ex-German Consul at Sunderland. Austrians energetically pursued by the Serbians, who have retaken Valievo. High treason trial at Durham Assizes ends, sentence of death being passed on the ex-German Consul at Sunderland, Nicholaus Ahlers. French airmen throw bombs on the airsheds at Freiburg-im-Breisgaü. The line of the San again in Russian hands. The Germans make no progress in the Franco-Belgian arena. Tsingtau central fort stormed, 200 prisoners being taken. Germans intern British subjects of military age. The sentence of the Court-martial on Lieutenant Lody, a German spy, carried out in the Tower of London, the man being shot. The Allies gain ground at many points and repulse the intended move towards Dunkirk and Calais. 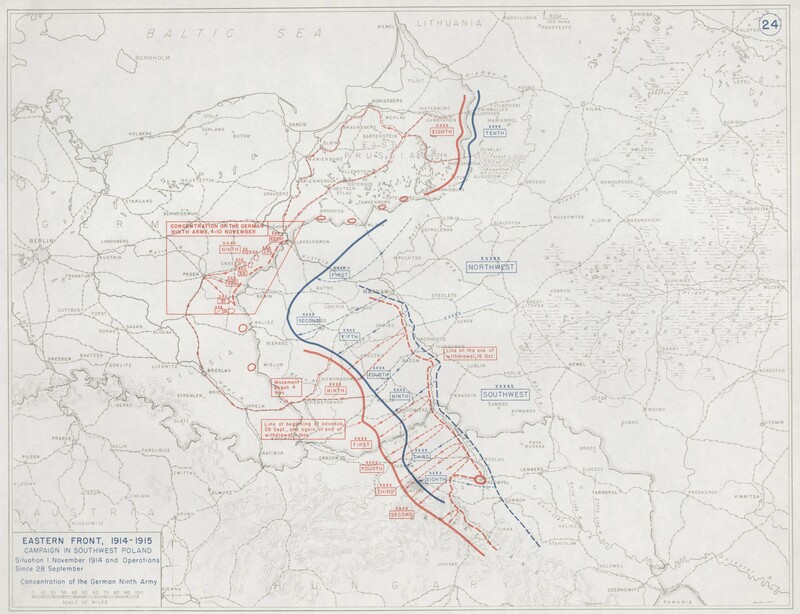 Russians prevailing against both German and Austrian forces. Admiral H.S.H. Prince Louis of Battenberg resigns his position as First Sea Lord of the Admiralty. Admiral of the Fleet Lord Fisher appointed to succeed him. Turkey commits definite acts of hostility against Russia. Court-martial of an alleged German spy opens at Westminster. Mr. Churchill elected Rector of Aberdeen University.